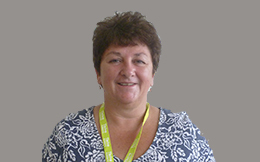 Sarah is the Consultant in Public Health with Plymouth City Council who leads for health improvement, public mental health and integrated commissioning. Sarah completed her public health training in the South West region and took up a consultant post with Plymouth PCT in 2011. Sarah’s original background was in environmental health. She worked for 20 years in this field including working on housing standards, food hygiene and safety, health and safety at work and pollution in a number of local authorities, including Plymouth, her home town. Sarah therefore brings a breadth of local knowledge and skills to her role. She is very interested in mental health and wellbeing and the concept of wellbeing and wellness rather than illness. As is the case with her public health colleagues, Sarah has a keen focus on addressing the inequalities that exist in our local population and seeks to influence the health and care system to this end.